Cardinal George Pell, who is responsible for managing the finances of the Vatican and the Holy See in Rome, has been charged with historical sexual assault offences in Australia. He was appointed to the Vatican by Pope Francis in 2014. Pell’s legal representatives were served with the charges on Thursday in Melbourne, where police have been investigating the allegations. The charges relate to multiple complainants and alleged offences said to have occurred in the state of Victoria. However, police have not detailed exactly how many charges Pell is facing or named what the specific charges are. A statement released by Pell’s office in Sydney on Thursday said he “strenuously denied all allegations”. He is the most senior Vatican figure to be charged with sexual abuse. Pell is Australia’s most senior Catholic, and his role managing the Vatican’s finances means he is the third most senior figure in the Vatican. He has previously been identified among more than 200 cardinals around the world as one of the more likely candidates to replace Pope Francis when he resigns or dies. The now 76 year-old was appointed to the Vatican for a five-year term in 2014. He relocated to Rome from Australia, where he had been the archbishop of Sydney since 2001. In 2013 Pell was one of eight cardinals chosen from around the world to be part of an advisory panel to help Pope Francis reform the Catholic Church. He was Archbishop of Melbourne between 1996 and 2001, and before that was auxiliary bishop of the archdiocese of Melbourne since 1987. Pell grew up in the small town of Ballarat in Victoria, which is located about 100km north-west of Melbourne. He was an assistant priest at a parish at Ballarat East from 1973 to 1983. In 1996 Pell was appointed archbishop of Melbourne, a role which he held until his move to Sydney in 2001. 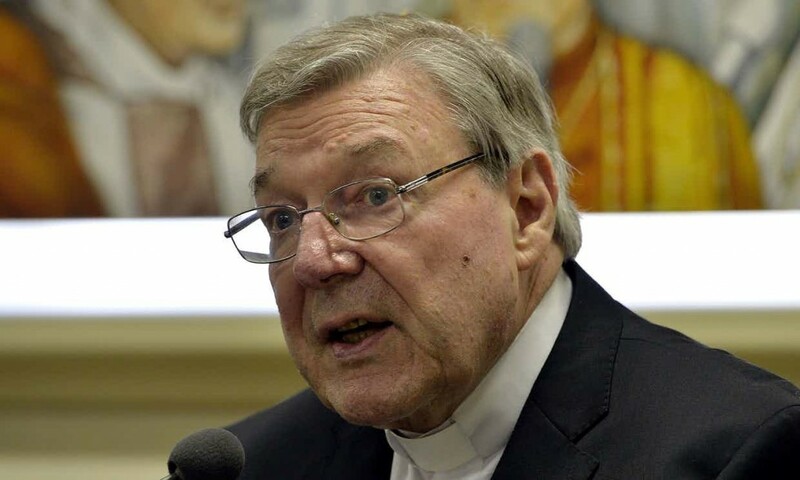 In 1996, while Pell was archbishop of Melbourne, he was approached by senior politicians, judges and officials who raised concerns about historical child sexual abuse at the hands of clergy and church personnel. More survivors were coming forward with their stories and historical charges were being laid. As a result Pell established a scheme within the Catholic archdiocese of Melbourne to investigate child sexual abuse claims. This initiative was known as the Melbourne Response, and those in charge of it, including Pell, have been criticised by abuse survivors for handling abuse claims inconsistently and inadequately. Why has Pell been charged now? Because police believe their evidence is now strong enough to stand up to cross-examination in court. Pell vehemently denied the allegations, describing them in a statement as “outrageous”, “without foundation”, “utterly false”, and “designed to embarrass”. He also called for an investigation into the Victorian police force to identify the source of the claims. Detectives travelled to Rome to interview Pell in October, and he cooperated with their inquiries. In February this year, police gave their brief of evidence to the office of public prosecutions, which prosecutes the most serious crimes, to consider. The office considers evidence and can make a recommendation to police about whether an investigation should be dropped, investigated further, or if there is enough evidence to warrant charges being laid. There has been back and forth between police and the office since then, including the gathering of additional evidence. Further allegations around Pell were raised in the meantime, which he has strenuously denied. On Thursday police made their move, charging Pell. In 2012 Australia’s then prime minister, Julia Gillard, ordered a formal inquiry into historical child sexual abuse within Australian institutions, including religious institutions. This inquiry is known as the royal commission into institutional responses into child sexual abuse. The commission is still going, and will release its final report in December. It does not have prosecutor powers, or the ability to compel people overseas to give evidence, but can refer matters to police and make recommendations to governments and institutions. As part of its inquiries the commission has examined the Catholic church and its response to abuse allegations. Pell was one of hundreds of people summoned to give evidence during public hearings held throughout Australia. He gave evidence to the commission in 2014 via videolink and was questioned about the structure of the archdiocese of Melbourne, the Melbourne Response, and how the institution dealt with abuse allegations. There had been no suggestion in these commission hearings that Pell himself was a perpetrator, though questions had been asked about how much he knew about those who were abusing and being abused, and whether he did enough to address abuse. Pell was a known figure and had come under intense scrutiny. But this escalated in December 2015, when he was due to fly to Australia to give further evidence relating to abuse that occurred at Ballarat. One week before he was due to appear, Pell’s lawyers told the commission he was too unwell to fly. The commission delayed the hearing until the end of February 2016 to give him time to recover and in the hope he would be able to return. On 5 February Pell’s lawyers said he was still too unwell to travel, and to avoid further delays for abuse survivors keen to hear his evidence, the commission agreed that he could appear via videolink from Rome instead. In the days before his appearance, it was reported police were investigating Pell in relation to “multiple offences”. Pell gave evidence to the commission from Rome over four days, but as no charges against him had been laid and because the commission does not have prosecutor powers, he was not questioned about the abuse allegations relating to him. Although his evidence was given via videolink he nonetheless had an audience, after a fundraising campaign aided by comedian Tim Minchin raised enough money to send survivors of abuse to Rome. What has the pope said about the case in the past? Not much. When Pell was interviewed by detectives in Rome last year, the pope said it was important for the police process to go forward without him making a “first judgment”. “We don’t know what the result will be,” he said, adding that he would be “attentive to what justice decides. “Once justice speaks, I will speak,” he said. Will Pell have to face a court and where? His lawyers will be at the Melbourne magistrates’ court on 18 July for a filing hearing. This is the first step in the committal process and involves a fair bit of admin. The court will set a timetable for the court process and for the exchange of evidence between the police and Pell’s lawyers. But it’s unclear whether Pell will be there, or if the list of charges will be released to the media. In a statement Pell’s Australian office said he would “return to Australia, as soon as possible, to clear his name” but the statement also said this would follow “advice and approval by his doctors who will also advise on his travel arrangements”. “He said he is looking forward to his day in court and will defend the charges vigorously,” the statement said. Australia has an extradition treaty with Italy but not with the Vatican, which has diplomatic immunity. This could complicate things. However, Pell’s home is outside Vatican walls, he has cooperated with Victoria police to date, and has said he will return to Australia after receiving clearance from his doctors.